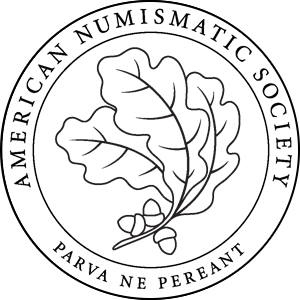 Nomisma.org is a collaborative project to provide stable digital representations of numismatic concepts according to the principles of Linked Open Data. These take the form of http URIs that also provide access to reusable information about those concepts, along with links to other resources. The canonical format of nomisma.org is RDF/XML, with serializations available in JSON-LD (including geoJSON-LD for complex geographic features), Turtle, KML (when applicable), and HTML5+RDFa 1.1. While the URIs provided by nomisma.org are stable, the project is in progress and subject to constant expansion and ongoing correction. This is particularly the case for the information provided about each nomisma.org identifier. The information provided by nomisma.org has been provided by a wide community of scholars and insitutions. There are two Github repositories associated with the project. The application code is available in https://github.com/nomisma/framework. The RDF/XML data and ontology versions are in https://github.com/nomisma/data. http://nomisma.org/id/axis. The 'axis' is the angular relationship between the obverse and reverse of a coin. http://nomisma.org/id/ephesus. The 'mint' at Ephesus. Nomisma relates this numismatic concept to other URIs such as wikipedia, Pleiades, Getty thesauri, and the British Museum. http://nomisma.org/id/quinarius. Nomisma.org maintains lists of Roman and other denominations. To indicate that “quinarius” is a concept within Roman numismatics, the Dublin Core property "dcterms:source" relates this URI to http://nomisma.org/id/roman_numismatics.